Are you beaten down? Fed up? Closed in? Is the weight of debt bearing down? Is the certainty of separation terrifying? Is the pain of suffering exhausting? Are you wounded? Weary? Worried? Then you know deep waters. This Psalm was part of my reading today and it was very timely. You see, someone I love is suffering and has only days to live. The joy I feel for him that soon he will enter into the glory of heaven and the presence of our heavenly Father (whom my friend loves deeply) is tempered by the despair from the inevitable void that will be created when he is separated from us. My friend Bob is like a father to so many fatherless. He is a strong anchor to which we tether our weaker crafts keeping us from drifting into the darkness. And now we must find our way relying on the truth he so laboriously invested in us. Grief can sometimes engulf us leaving us floundering in the dark, drifting, sinking. King David wrote Psalm 18 after he was delivered from Saul’s hand. He had been driven out to the wilderness by someone who wanted him dead. He was hiding like a criminal in a cave: cold, desperate and alone. David knew despair, he knew deep waters. Our Savior was no stranger to suffering and sorrow either. But as compassionate as he was about our temporal sufferings, Jesus was most concerned about our eternity. 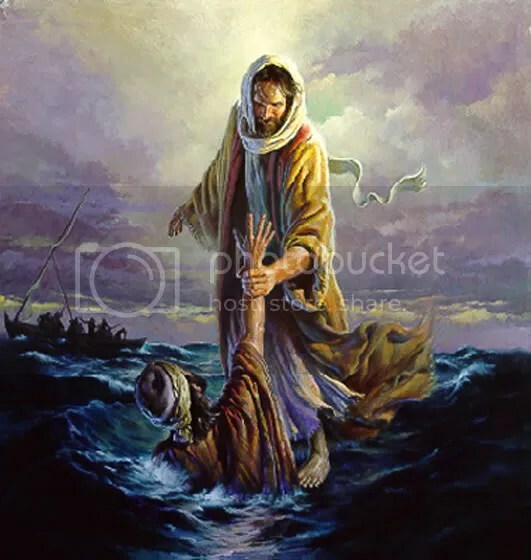 “Christ reached down and took hold of me, He drew me out of deep waters.” Just as air is most precious to a drowning man, the grace of God is most precious to a depraved man. Yet, He rescued me because he delighted in me? Faith delights the Lord. He rewards those who earnestly seek Him. And seek Him we must, lest we drown in our own depravity. Are you in deep waters right now? Tether yourself to Christ. 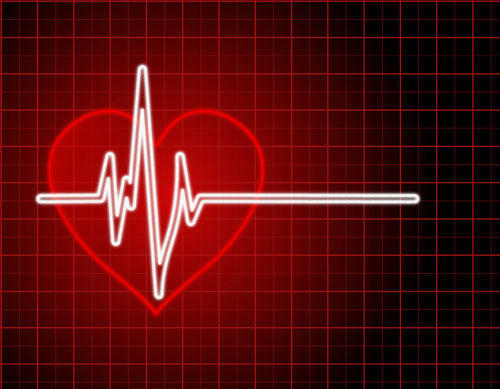 Even if your circumstances do not improve to your liking, the condition of your heart will. We cannot seek something we believe does not exist. When the heart is pure, the mind is willing to submit, to endure, to overcome. Christ said we would suffer; he did not rescue us from pain. He gives purpose to the pain and in doing so, He gives us hope. After the recent earthquake in Haiti it was reported that the people (80% of which are Christians) were singing in the streets. A pure heart knows hope. When a believer is stripped of all that identifies him as self, then he sees clearly to grasp the only hand that can draw him out of the deep waters. Does God give me my heart’s desire? This is a response to a “God Question” from a friend. I hope you are blessed as we examine scripture together. This is a teaching that has emerged from Psalm 20:4 “May he give you the desire of our heart and make all your plans succeed.” An honest look at the context reveals that the promise you quoted is not supported by the text. The text does not say anything about God creating desires in someone heart. We must be very careful not to spiritualize the text such that we apply a meaning that was never intended lest we embrace a false teaching and miss the intended blessing. This Psalm is a prayer for Israel’s king when he is called to defend himself and the nation in battle. And insomuch as David is a typecast for Christ we are justified in extending the application of the meaning to the church and the triumph of our Savior over his enemies. Setting the stage for this text we see that the king has been called into battle, that a prayer or song is composed to be presented at a sanctuary service on his behalf. After sacrifices were offered and accepted by God, the Levites (singers) and the congregation would join in the prayer of supplication for the king before he left for battle. In applying this text to the church, it is the duty of all believers to gather together and intercede for the interests of Kingdom. We all experience distress and appeal to the power of our loving Father to protect us, rescue us and help us overcome the enemy whomever or whatever that may be. A final note, a man’s desires reveal his character. If a man loves the Lord, then his desires will reveal it. Righteous desires are always in agreement with God’s will as revealed in His Word, so we can be confident that when we contend for the faith, success is inevitable. The errant teaching occurs when we make man the center of scripture; for instance, some teach that if I have a desire, because I am a Christian and I claim that “God gave me this desire”, God will make it happen. We all have evil and righteous desires, believers included. Am I to assume that because I claim the blood of Christ that God can be manipulated to achieve my will?! Of course not! God does not serve us, it is the other way around! Secondly, how do you know that God gave you that desire? Our faith is not based on arbitrary indulgences; we have an objective standard by which we can determine truth. The degree to which we know God and surrender to His will as revealed in Scripture, is the degree to which we will experience victory in our lives.